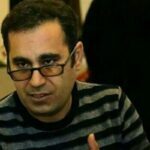 Human Rights Activists News Agency (HRANA) – The Appellate Court of Tehran Province Branch 36 will convene October 25, 2018, to review the case of Mohammad Habibi, a teacher and union activist imprisoned since May 2018 for commemorating national teachers’ week. 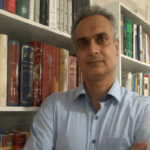 On September 20th, HRANA’s English webpage announced that Habibi’s case had entered the appellate stage. In direct violation of physician orders, Habibi has been denied medical attention since the beginning of his detention period. Taj said that Habibi has suffered from various health problems since being imprisoned, including a 22-pound weight loss, suspect kidney stones, and a severe lung infection causing pain in his rib cage, reportedly due to being beaten while in prison. 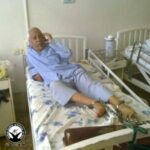 According to Taj, the nephrologist at Imam Khomeini hospital issued an order for Habibi’s urgent treatment, as he has kidney and urinary tract conditions that may require surgery. In face of the documented medical urgency, however, authorities have yet to clear him for even preliminary testing. 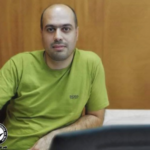 On the one occasion that Habibi’s request for medical leave was granted, he was released from Great Tehran Penitentiary, prematurely dismissed from the hospital without receiving treatment, and then transferred to Evin Prison on Monday, September 3, 2018, where he has remained since. Habibi’s case – and particularly his compromised medical condition – recently drew the support of teacher’s organizations at home and abroad. In a letter addressed to Ayatollah Ali Khamenei, the French trade unions SFDT, SGT, FSO, Solidaires, and UNSA held the Supreme Leader accountable for Habibi’s fate and called his imprisonment a violation of both human rights and the fundamental freedoms of syndicates. In May 2018, General Secretary of Education International (EI) David Edwards vehemently denounced Habibi’s arrest and detention, demanding his immediate release in a letter to Iranian president Hassan Rouhani. Iranians themselves have also called for Habibi’s release. 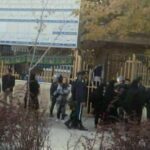 In a statement signed by over 1,400 civil, political, union and teachers’ activists across Iran, Iranians protested Habibi’s sentence and called for greater solidarity with teachers and other workers in Iranian society. On July 23rd, 2018, Judge Ahmadzadeh of Tehran Revolutionary Court sentenced Habibi to 10 and a half years’ imprisonment, i.e. seven and a half years for “national-security related Crimes,” 18 months for “propaganda against the regime”, and another 18 months for “disrupting public order.” In addition to prison terms, he was dealt a two-year ban from political and civic activities, a two-year travel ban, and 74 lashings. Under Article 134 of Iran’s Islamic Penal Code, which holds that prisoners are to serve the lengthiest of their sentences, Habibi’s sentence, if upheld, would put him behind bars for a maximum of seven and a half years, i.e. the heaviest one of his three sentences. 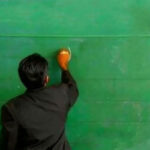 Habibi is a member of the board of directors for the Teachers’ Union Association of Tehran Province. A letter from his HR office confirmed he is no longer receiving his salary. 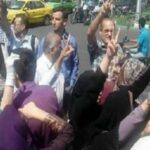 HRANA News Agency – More than a hundred and thirty teachers, who were arrested during a silent rally in front of the parliament, were released from detention.